SANTA MONICA, Calif. – May 3, 2017 – Skydance, a diversified media company that creates elevated, event-level entertainment for global audiences, has named Chris Hewish as Executive Vice President of Interactive, effective immediately. In the newly created position, Hewish is responsible for helping to set and execute the overall strategy for Skydance Interactive, as well as oversee development, partnerships, and new business opportunities. 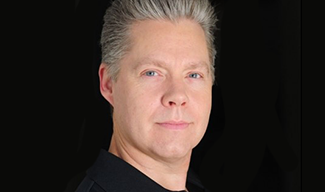 Hewish most recently served as Head of Studio and Publishing at leading VR company Survios. At Survios, Hewish lead a team responsible for the release of Raw Data, the first VR game to generate over $1M in revenue in its first month and the first VR game to hit the #1 spot for all games available on Steam. Prior to his time at Survios, Hewish served as Chief Executive Officer of social gaming company Bonanza Media, releasing titles including Bingo Home: Race To Earth and Shrek Slots Adventure. Previously, he spent six years as DreamWorks Animation’s Head of Global Interactive, where he received an Annie Award for his creative work on the ?Kung Fu Panda video game, as well as an Apple ?App Store Best of 2013? award for the ?Turbo Racing League ?mobile game. This followed a thirteen-year stint at Activision Blizzard, where he held posts including Lead Game Designer and Executive Producer. Hewish holds a B.A. degree from the University of Southern Maine. Skydance is a diversified media company founded by David Ellison in 2010 to create high quality, event-level entertainment for global audiences. The Company brings to life stories of immersive worlds across its feature film, television, and interactive platforms. Its feature films include LIFE, Jack Reacher: Never Go Back, Star Trek Beyond, Mission: Impossible – Rogue Nation, Terminator Genisys, World War Z, Star Trek Into Darkness, G.I. Joe: Retaliation, Jack Reacher, Mission: Impossible – Ghost Protocol, and True Grit. Skydance’s upcoming films include Geostorm on October 20th and Annihilation as well as Baywatch on May 25th under the Company’s Uncharted label. In 2017 Skydance formed an animation division to develop and produce a slate of high-end animated feature films and television series in partnership with Spain’s Ilion Animation Studios. Skydance Television launched in 2013. Its current slate includes Emmy-nominated Grace and Frankie on Netflix, Altered Carbon on Netflix, Jack Ryan on Amazon, Condor on AT&T Audience Network, Ten Days in the Valley on ABC, and Dietland on AMC. Skydance Interactive launched in 2016 to create and publish original and IP-based virtual reality experiences and video games. In 2017, Skydance Interactive will debut Archangel – its first original title – in July.